KARL STORZ SE & Co. KG are kindly sponsoring this course. In order to obtain the funding you must agree to your contact details being forwarded to Karl Storz. Register onto the course and we will ask you to send us 3 documents, if the Course Director accepts your application we will ask you to pay the fees online. At the end of the course, you will be able to re-claim the full course fee, (refunded back to the credit/debit card that you used to make the original payment around 4-6 weeks after the course) the accommodation costs up to a maximum of £300 (bed and breakfast from Sunday evening until Thursday morning only) and reasonable economy travel costs up to £300 (You will complete a form during the course and receive reimbursment around 3 months after the course). Please note that accommodation will NOT be booked for you, it is your own responsibility to organise accommodation for the 4 days. KARL STORZ will allow you to attend one EAES Upper Course and one EAES Lower Course only, you will not be reimbursed if you apply and attend the course again. You can only book onto one EAES Laparoscopic course within a 12 month period. This course offers a 10 % reduction on the course fee for EAES members. A four-day course aimed at Lower GI surgeons and senior trainees who wish to learn more about laparoscopic approaches to the Lower GI system. Suitable attendees are surgical trainees (SPR 5-6) and consultant surgeons who have extensive experience of conventional lower GI procedures and are already undertaking routine laparoscopic cases (cholecystectomy, diag. lap., lap appendix). There will be a maximum of 20 places available on each course, with 2 courses running each year. 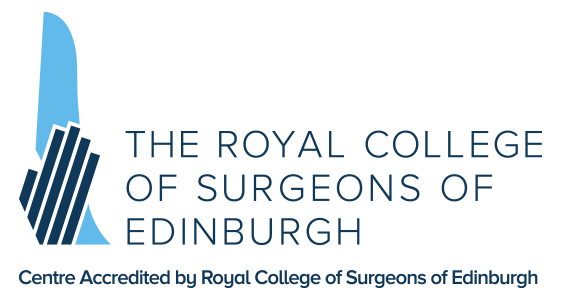 Attendees who wish to book on the course should either provide a summary from their recent ARCP or CV including current surgical activity. Candidates should be at the point of commencing practice of some of the procedures to be covered in the course, with appropriate supervision/ mentorship. This will be a practical skills course where attendees will master a variety of tissue approximation techniques. The following laparoscopic procedures will be rehearsed in the skills laboratory: Lap suturing, Laparoscopic anatomy demonstration on cadaver, parastomal hernia, rectopexy and rectal resection. There will also be several expert sessions covering aspects of advanced lower GI surgery involving clinicians from across Europe, with a live operative demonstration. There will also be a revision anatomy session, to relate the relevant anatomy to procedures. Demonstrate certain key skills related to lap colorectal surgery.